Luke Bryan's official "Sunrise, Sunburn, Sunset" lyric video highlights the most important people in the country star's life! Watch it here. The release of this warm weather anthem’s lyric video has fans everywhere singing right along as well as getting an up close and personal look into the “What Makes You Country” singer’s personal life. That’s right, the star of this lyric video isn’t just Luke Bryan— his entire family is featured! 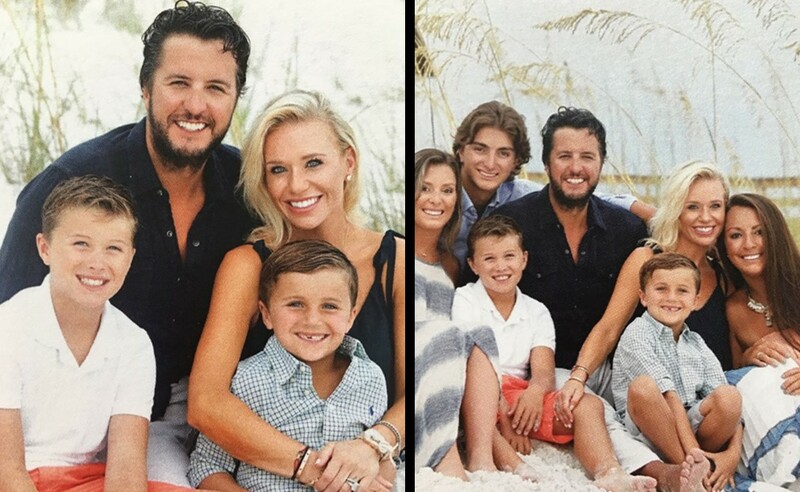 Luke is the proud father of two handsome young men— Thomas Boyer Bryan and Tatum Christopher Bryan with wife Caroline Boyer Bryan. In addition to these two fun-loving, energetic boys, Luke also has stepped into the father role for his nieces and nephew after the death of his sister in 2007 followed by her husband’s death in 2014. Since the tragedy, Luke and Caroline have been doing everything they can for the trio and loving them unconditionally! Luke had a great time filming the video just outside of Nashville, TN.